Property Highlights : Work from home: This lovely home would make a great place for a business with highway exposure. 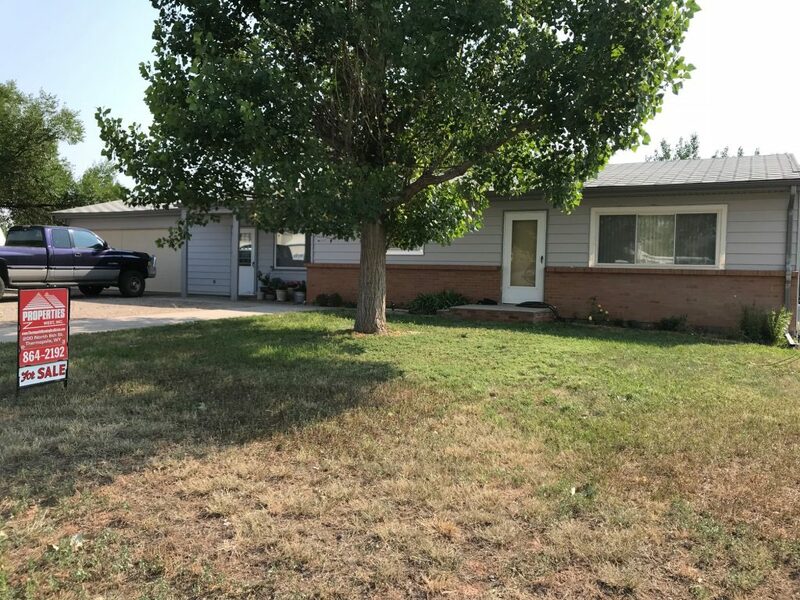 Home has been updated and has 2 remodeled bedrooms and 2 baths, plus large remodeled bonus room and a walk out basement that is almost finished with 2 more bedrooms and a family room. Double attached garage and a large lot. MAIN LEVEL: Large bonus room, living room, eat-in kitchen, 2 bedrooms and 1 full bath. Updated with new kitchen, new carpet, new flooring, new drywall in bedroom. Laundry hook-ups in the basement as well. There is a small work room off of the bonus room. LOWER LEVEL: Walk out basement is partially finished with two bedrooms and a large mechanic/storage room and space for a large family room. Ther is a 3/4 bath in the basement. HEATING/AIR CONDITIONING: The main level is heated with a gas boiler system. The basement has 2 electric convection wall heaters. One window air conditioning unit is included. OUTSIDE: Maintenance free steel siding, window updates, outside of city limits, no covenants. PERSONAL PROPERTY INCLUDED WITH PURCHASE: Range, dishwasher, window air conditioner and all window coverings.